Experience a new type of high quality world-class turn-based cinematic RPG! Embark, as descendants of great heroes, on a quest to fight the ever-encroaching evil. Journey into an unknown world, and unravel the truth behind the mystery of the Guardian Stone. and prepare for the last battle against the chaos dragon. Heed the call to action and save the kingdom from the grimy grasp of evil. • Experience the highly polished full 3D animation, PC quality style graphics. 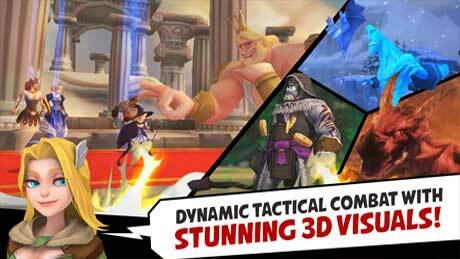 • Exciting battle system with simple touch control. with high-level strategic features for RPG gamers! • Design and enhance your own personalized skill tree and combine destructive powers. • Over 65+ different Guardian types to accompany you. • Test out hundreds of strategy against enemy bosses with completely different tactics. VARIOUS CONTENTS TO HELP YOUR ADVENTURE! earn additional rewards or even manage the Lazy Goblin Miners for extra gold. 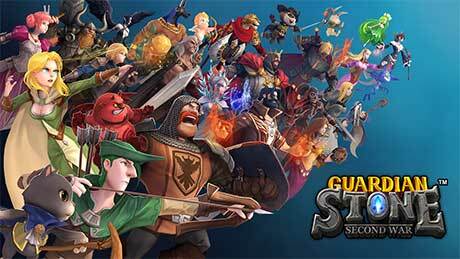 • Defeat Raid Boss Monsters or face off Champion Guardians to receive a rare reward. • Battle it out in the Brawler’s Tavern where its flooding with other adventurers who just can’t wait to show-off. • Don’t forget to log-in daily to get a compiling extra bonus! • Invite friends’ Guardians to increase your chances of victory through Facebook. 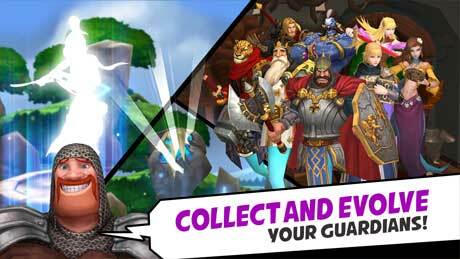 • Gain more experience points and gold by engaging dungeon events. but you won’t want to miss the special rewards available from these dungeons!